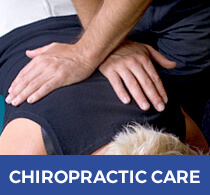 Dr. Daniel Serpentelli graduated from Palmer College of Chiropractic in 1986. He subsequently passed the national boards and began practicing in 1987. First joining Integrated Physical Medicine as an associate, he quickly worked his way up to department head and then the lead treating chiropractor. He took over as the practice owner in 2014. At Integrated Physical Medicine, you will find various solutions to improve your health. 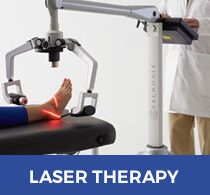 Chiropractic care is complemented by several adjunctive therapies we offer, including laser therapy and massage therapy. Most people are motivated to seek out chiropractic care because they are experiencing symptoms of pain. We will work to first relieve your discomfort, educating you along the way about how chiropractic can help keep you well. Dr. Serpentelli is committed to helping people to the fullest of his abilities. His dedication to the chiropractic profession was cemented when he was nearly complete with his program at Pennsylvania College of Straight Chiropractic. He felt dissatisfied with his education, however, and didn’t want to graduate feeling there was more to learn. Therefore, he made the decision to start over completely at Palmer College of Chiropractic, a world-renowned institution. Since that time, his passion for chiropractic has continued to grow. He and his wife Stephanie are often at Integrated Physical Medicine seven days a week, working tirelessly to improve their patient care. Dr. Serpentelli is constantly undertaking additional training and education to enhance his abilities as a chiropractor. Insurance is accepted at our office. Find out what we may be able to do for you — contact us today!